There are many courses available to students after 12th standard. Courses like Engineering, MBBS are main stream, but I will also focus on slightly unknown and unique courses. Please make sure that you take your own time and think before you choose a particular course. Professional courses for Mathematics and Biology Group students! Why choosing the right course is necessary? Those were some of the well known Engineering branches. One may pursue any of the above mentioned courses after 12th Science. Biotechnology Engineering is one such course that both Mathematics and Biology group students may pursue! After Engineering, one may easily find relevant jobs both in private as well as public sectors! If B.E./ B.Tech. Degree is followed up with M.E./M.Tech. Degree, one may also venture into the teaching field and become a College Lecturer! Mechanical Engineering is an evergreen branch! This is due to the fact that there’s always demand for mechanical engineers in the job market! The minimum educational qualification required to pursue B.E. or B.Tech. in Mechanical Engineering is – 10+2 passed with PCM subjects. In order to secure admission into reputed institutes, a candidate must crack relevant entrance tests (such as JEE, State-wise and Institute-wise entrance tests). Here are some relevant entrance exams – JEE Main, JEE Advanced & BITSAT. Electrical Engineering is also an evergreen branch. There are ample job opportunities available in front of electrical engineers. The minimum educational qualification required to pursue B.E. or B.Tech. in Electrical Engineering is – 10+2 passed with PCM subjects. In order to secure admission into reputed institutes, a candidate must crack relevant entrance tests (such as JEE, State-wise and Institute-wise entrance tests). After completing B.E. or B.Tech. in Civil Engineering, graduates may pursue M.E. or M.Tech. and specialize in the above mentioned disciplines. Civil Engineering is one of the oldest branches of engineering. It generates ample amount of job opportunities. The minimum educational qualification required to pursue B.E. or B.Tech. in Civil Engineering is – 10+2 passed with PCM subjects. Chemical Engineers have access to both private and government sector jobs. The minimum educational qualification required to pursue B.E. or B.Tech. in Chemical Engineering is – 10+2 passed with PCM subjects. In order to secure admission into reputed institutes, a candidate must crack relevant entrance tests (such as JEE, State-wise and Institute-wise entrance tests). For creating software, we need computer engineers! Skilled computer engineers are capable of planning, designing, developing and testing software. The minimum educational qualification required to pursue B.E. or B.Tech. in Computer Engineering is – 10+2 passed with PCM subjects. In order to secure admission into reputed institutes, a candidate must crack relevant entrance tests (such as JEE, State-wise and Institute-wise entrance tests). It is a relatively new field of engineering. But within short span, it has gained huge popularity and a place of its own among other engineering branches! The minimum educational qualification required to pursue B.E. or B.Tech. in IT Engineering is – 10+2 passed with PCM subjects. In order to secure admission into reputed institutes, a candidate must crack relevant entrance tests (such as JEE, State-wise and Institute-wise entrance tests). The minimum educational qualification required to pursue B.E. or B.Tech. in IC Engineering is – 10+2 passed with PCM subjects. In order to secure admission into reputed institutes, a candidate must crack relevant entrance tests (such as JEE, State-wise and Institute-wise entrance tests). The minimum educational qualification required to pursue B.E. or B.Tech. in EC Engineering is – 10+2 passed with PCM subjects. In order to secure admission into reputed institutes, a candidate must crack relevant entrance tests (such as JEE, State-wise and Institute-wise entrance tests). The minimum educational qualification required to pursue B.E. or B.Tech. in Electronics Engineering is – 10+2 passed with PCM subjects. In order to secure admission into reputed institutes, a candidate must crack relevant entrance tests (such as JEE, State-wise and Institute-wise entrance tests). The minimum educational qualification required to pursue B.E. or B.Tech. in Electronics and Telecommunication Engineering is – 10+2 passed with PCM subjects. In order to secure admission into reputed institutes, a candidate must crack relevant entrance tests (such as JEE, State-wise and Institute-wise entrance tests). Petroleum Engineering can broadly be classified into three sections – upstream, midstream and downstream. Petroleum Engineers are usually hired by refineries, oil and natural gas firms, chemical factories and oil and gas exploration firms. The minimum educational qualification required to pursue B.E. or B.Tech. in Petroleum Engineering is – 10+2 passed with PCM subjects. In order to secure admission into reputed institutes, a candidate must crack relevant entrance tests (such as JEE, State-wise and Institute-wise entrance tests). There are specializations within this branch. For example – avionics. This specialization focuses on electronics systems used in the field of aviation! Similarly, there’s also a specialization that focuses on mechanical parts and machine used in the field of aviation. The minimum educational qualification required to pursue B.E. or B.Tech. in Aeronautical Engineering is – 10+2 passed with PCM subjects. In order to secure admission into reputed institutes, a candidate must crack relevant entrance tests (such as JEE, State-wise and Institute-wise entrance tests). The minimum educational qualification required to pursue B.E. or B.Tech. in Automobile Engineering is – 10+2 passed with PCM subjects. In order to secure admission into reputed institutes, a candidate must crack relevant entrance tests (such as JEE, State-wise and Institute-wise entrance tests). Mining Engineering primarily deals with exploration and surveying of mines. Mining is carried out in order to obtain minerals, coal, metals, oil, natural gas etc. Mining is a complex process. It involves advanced surveying technology, complex drilling equipment, mathematics, physics and geology! The minimum educational qualification required to pursue B.E. or B.Tech. in Mining Engineering is – 10+2 passed with PCM subjects. In order to secure admission into reputed institutes, a candidate must crack relevant entrance tests (such as JEE, State-wise and Institute-wise entrance tests). Biotechnology is a relatively new branch of engineering. It combines biology, engineering and technology for the betterment of our lives. There are many applications to this branch. Notable areas are – healthcare, agriculture, food production and nutrition. Eligibility criteria of this program may vary from one institute to another. Science stream education is mandatory though! In order to secure admission into reputed institutes, a candidate must crack relevant entrance tests (such as JEE, State-wise and Institute-wise entrance tests). ture so that desired results and properties can be achieved at cellular and molecular level! The applications of this branch are many. Notable areas of application are – healthcare, nutrition, food processing and agriculture. Plastic engineers are knowledgeable about chemistry, material science, polymer processing and product design. The minimum educational qualification required to pursue B.E. or B.Tech. in Plastic Engineering is – 10+2 passed with PCM subjects. In order to secure admission into reputed institutes, a candidate must crack relevant entrance tests (such as JEE, State-wise and Institute-wise entrance tests). Food Technology graduates are usually hired by food processing firms and Government agencies (example – state-wise food and beverages corporation). The minimum educational qualification required to pursue B.E. or B.Tech. in Food Processing and Technology is – 10+2 passed with PCM subjects. In order to secure admission into reputed institutes, a candidate must crack relevant entrance tests (such as JEE, State-wise and Institute-wise entrance tests). Agricultural Engineering combines the concepts of agricultural science, technology and engineering together! As a result, this branch is capable of improving agricultural productivity by increasing production and eliminating crop diseases! Agricultural engineers have diverse job opportunities available in front of them. Eligibility criteria of this program may vary from one institute to another. Science stream education is mandatory though! In order to secure admission into reputed institutes, a candidate must crack relevant entrance tests (such as JEE, State-wise and Institute-wise entrance tests). The minimum educational qualification required to pursue B.E. or B.Tech. in Textile Engineering is – 10+2 passed with PCM subjects. In order to secure admission into reputed institutes, a candidate must crack relevant entrance tests (such as JEE, State-wise and Institute-wise entrance tests). Admission process: Reputed Engineering Colleges rely on merit based admission process. They allot seats to deserving candidates on the basis of marks scored by students in relevant entrance tests. Some engineering entrance tests are held at National level. Some other tests are held at State level. There also exists College/University/Institute level entrance tests! Government colleges are known to charge low fees. Average fees in private colleges could be anywhere between 70-150K INR per semester. On an average, starting salary could be anywhere between 30-75K INR per month. In case of a Government job, the salary will be as per the pay scale and grade. The beauty associated with B.Sc. program is that many top Universities are offering attractive scholarships for meritorious students! Also, when B.Sc. is followed up with M.Sc., one may build a good career in Research and Development field! B.Sc. Agriculture course is 3 years long. The program focuses on agriculture science and is aimed at producing skilled agriculture professionals. The course consists of elements of science, biology, technology, chemistry and agriculture science. Eligibility criteria of this course may vary from one institute to another. Science stream education is mandatory though! In order to secure admission into reputed institutes, a candidate must crack relevant entrance tests (such as State-wise and Institute-wise entrance tests). Here’s National level agriculture entrance exam – ICAR AIEEA. B.Sc. Forestry program primarily deals with forest science, environmental science, biology, agriculture and technology. The academic program is 3 years long. Forestry graduates have diverse job opportunities available in front of them. Eligibility criteria of this course may vary from one institute to another. Science stream education is mandatory though! In order to secure admission into reputed institutes, a candidate must crack relevant entrance tests (such as State-wise and Institute-wise entrance tests). B.Sc. IT program deals with Information Technology. The academic program is 3 years long. The course covers topics such as – IT systems, DBMS, Operating System etc. If you want to become an IT professional, this course will be of help to you. Students who have passed 12th Science with PCM subjects are eligible to pursue this course. In order to secure admission into a reputed college, one must crack relevant entrance test (state-wise or institute-wise). B.Sc. Computer Science program deals with topics such as – programming languages, computer hardware, software, mathematics, probability etc. The academic program is 3 years long. Students who have passed 12th Science with PCM subjects are eligible to pursue this course. In order to secure admission into a reputed college, one must crack relevant entrance test (state-wise or institute-wise). B.Sc. Chemistry course primarily deals with chemical reactions, processes, products etc. If you are passionate about chemistry, this course will be of help to you! The academic program is 3 years long. As the name suggests, B.Sc. Mathematics course focuses on mathematics subject. This academic program is well known for its detailed approach towards mathematics. The academic program is 3 years long. Students who have passed 12th Science with PCM subjects are eligible to pursue this course. In order to secure admission into a reputed college, one must crack relevant entrance test (state-wise or institute-wise). As the name suggests, B.Sc. Physics course focuses on physics subject. This academic program is well known for its detailed approach towards physics. B.Sc. Hotel Management course covers subjects such as – HR Management, Operations management, hotel and hospitality management, finance management, material management etc. The academic program is 3 years long. If you want to build a career in hotel management/travel/tourism management sector, this course will be of help to you! Students who have passed 12th standard are eligible to pursue this course. In order to secure admission into a reputed college, one must crack relevant entrance test (state-wise or institute-wise). B.Sc. Nautical Science course will help you build a rewarding career in the merchant navy sector. The academic program is 3 years long. Here’s a merchant navy entrance test – IMU CET. As the name suggests, B.Sc. Electronics course deals with electronics. The course covers topics such as – electronic systems, equipment, circuits etc. B.Sc. Biotechnology is a job oriented course. The academic program is 3 years long. It combines biology, engineering and technology for the betterment of our lives. There are many applications to this branch. Notable areas are – healthcare, agriculture, food production and nutrition. Students who have passed 12th Science stream are eligible to pursue this course. In order to secure admission into a reputed college, one must crack relevant entrance test (state-wise or institute-wise). Admission process: Reputed Science Colleges rely on merit based admission process. They allot seats to deserving candidates on the basis of marks scored by students in relevant entrance tests. Some SF Colleges and Deemed Universities are known to conduct donation based admission process. Government colleges are known to charge low fees. Average fees in private colleges could be anywhere between 60-90K INR per semester. On an average, starting salary could be anywhere between 30-50K INR per month. In case of a Government job, the salary will be as per the pay scale and grade. B.C.A. stands for Bachelor of Computer Applications. Like B.Sc., B.C.A. too is a 3 years long course. This course focuses on Computers, software and applications, programming languages etc. After getting B.C.A. Degree, one may also go for PG course- M.C.A. It is a Master program and lasts 2 years. Talking about job opportunities, one may find jobs in both private as well as Government sectors. But private sector chips in with more job opportunities! Especially IT MNCs recruit B.C.A. Graduates in large numbers! One may also venture into the teaching profession after doing M.C.A.! Admission process: Reputed Colleges rely on merit based admission process. They allot seats to deserving candidates on the basis of marks scored by students in relevant entrance tests. Some SF Colleges and Deemed Universities are known to conduct donation based admission process. B.Arch. stands for Bachelor of Architecture. Explaining in simple terms, it is a branch that deals with planning and construction of homes, buildings, commercial structures, public utility structures etc. Duration of B.Arch. course is 5 years. Talking about job opportunities, one may get into MNCs and top players operating in the Construction as well as building sector. Also, if you are creative and passionate, you may also start up on your own, planning, designing and creating homes and small projects. Gradually, you may climb the ladder and branch out onto bigger ventures! Admission process: Reputed Colleges rely on merit based admission process. They allot seats to deserving candidates on the basis of marks scored by students in relevant entrance tests (NATA, JEE, State level exams, College level exams etc). Some SF Colleges and Deemed Universities are known to conduct donation based admission process. On an average, starting salary could be anywhere between 30-70K INR per month. In case of a Government job, the salary will be as per the pay scale and grade. If you choose entrepreneurship, profit generated will matter more than salary! Many might be surprised on seeing B.Pharm. in this section! But yeah, even Mathematics group students may go for B.Pharm.! Pharmacy course is all about the pharmaceutical sector. It deals with topics such as making medicines, chemicals involved in making medicines, uses of medicines etc. This course is 4 years long. Opening one’s own shop is another option! A combination of B.Pharm. and M.Pharm. can also ensure you a job in Research sector as well as teaching sector! Admission process: Reputed Pharmacy Colleges rely on merit based admission process. They allot seats to deserving candidates on the basis of marks scored by students in relevant entrance tests (National, State or College level). Some SF Colleges and Deemed Universities are known to conduct donation based admission process. Government colleges are known to charge low fees. Average fees in private colleges could be anywhere between 60-80K INR per semester. On an average, starting salary could be anywhere between 30-50K INR per month. In case of a Government job, the salary will be as per the pay scale and grade. If you start your own medical shop, profit generated will matter more than salary! B.B.A. stands for Bachelor of Business Administration. This course has nothing to do with science stream. Still, science stream students are eligible to pursue it! B.B.A. program’s duration is 3 years. On completion, one may also go for M.B.A. (Master of Business Administration), which lasts for 2 years. Check out MBA course details here. Admission process: Reputed Management education Colleges rely on merit based admission process. They allot seats to deserving candidates on the basis of marks scored by students in relevant entrance tests. Some SF Colleges and Deemed Universities are known to conduct donation based admission process. After 12th standard, Mathematics group students may also go for Commercial Pilot training and become a Commercial Pilot! For this, they have to attend a Flight Training school. Please go through this detailed guide that I’ve written regarding Commercial Pilot Training. The course duration varies from one institute to another! In general, it lasts between 2-3 years. After finishing training, one may land the job of a Ferry pilot or Commercial pilot in Private or Nationalized Airline companies! After retirement, one may also become a trainer. This, according to me is an added advantage that this field offers! Colleges: In India, there exists both Private and Government Flying Schools. Flying Schools are known to offer Commercial Pilot training to deserving candidates. Admission process: In order to secure admission, one must crack an Aptitude test (Pilot aptitude test). The Aptitude test is usually followed by an interview. Fees: Commercial Pilot training is quite expensive in India. The entire training process could cost around 40-50 Lakh INR (average figure). Fees: If you want to pursue Diploma in Fire Safety course, you will have to spend around 50-100K INR per year. Fees may vary from one institute to another. It also depends upon the scholarship status of the candidate. Looking from career prospects’ point of view, Merchant Navy is a well rewarding sector! The remuneration is generally high. But the work involved requires hard work and determination. Talking about Merchant Navy sector, there are various job posts available, like- Marine Engineer, Sailor etc. Based on the job post, there are number of courses available too. Some of the courses are- marine technology and engineering and diploma course to become sailor. Yes, this is a good option, but there is an age limit. You have to be 19 years old or younger to appear for NDA (National Defence Academy) exam. You must also have completed your 12th standard exams with A group. If you manage to pass NDA exam and SSB interview, you will get admission in NDA, Pune. You have to do a Bsc course there along with military training and studies. After 3 years in NDA and a year at IMA (Indian Military Academy), you will get a job in Indian Armed forces as an officer. If you don’t get admission in engineering, you can take admission in Diploma engineering (Mechanical/Chemical/Electrical/Civil and most other prominent Engineering disciplines). After completing your diploma, you can go for a degree. After you get your diploma, you have to attend an engineering college for only 2 years to get a degree. Fees: Diploma in Engineering course is being offered by polytechnic colleges across India. There exists two main types of polytechnic colleges in India – Government polytechnics and private polytechnics. Govt institutes charge very low tuition fees. It could be 2-10K INR per year. Private polytechnics are known to charge relatively higher tuition fees. It could be anywhere between 30-80K INR per year. Non-technical Diploma courses may also set you back by around 30-60K INR per year. Tuition fees depends upon type of course, level of difficulty, scholarship status of the candidate etc. Bachelor of Design (Fashion Designing)– A well known course being taught in NIFT (National Institute of Fashion Technology), this one is a 4 year long course. The program is much sought after by students interested in designing clothes and apparels. The job prospects are good, when it comes to this particular course. After graduating, one has a wide choice of potential careers to choose from. Some of them are- designers, freelance design consultants, costume designers, illustrators etc. Also, graduates can easily land jobs in MNCs related to clothing line and designer wears. Bachelor of Design (Leather Design)– Like the previous entry, this one is also a 4 year long course. Job opportunities are abundant in this field also. Primarily, this field is associated with designing of leather products, mass manufacturing of it, management of the good, transportation etc. Bachelor of Design (Accessory Designing)– The duration of this course is 4 years long. This field is all about designing high end and innovative designed and crafted accessories, ornaments etc. Not just ornaments, this field also deals with accessories like footwear, interior design goods etc. Bachelor of Design (Textile Design)– 4 years long course. Deals with all aspects associated with the field of textile manufacturing, processing, designing and management. One of the most popular courses offered by NIFT. Graduates will be able to find jobs easily in industries associated with clothes and textile industry. Bachelor of Design (Knitwear Designing)– Knit wear is emerging as the next big thing in the design and textile world. This 4 year long course deals with the fundamentals of knitting and also incorporates knowledge about state of the art methods and equipment too! Bachelor of Design (Fashion Communication)– This is a new course, but surely high on promise and potential. In a nutshell, it is all about merchandising (visual), exhibiting design, fashion journalism etc. Graduates can be expected to get hired by media houses, as a fashion consultant. Graduates can also become chief organizers of fashion events. Animation film Design– A 4 year long course offered by the prestigious NID (National Institute of Design). Graduates of this course can become independent animators, work under big Indian and International media production houses, advertising houses etc. The job scope is promising, when it comes to this particular field. Ceramic and Glass Design– This activity has been practiced by man since ancient times. This 4 year long course offered by NID also imparts ancient techniques as well as state of the art methods also! Furniture and Interior Design– A 4 years long course. Deals with various aspects of designing, manufacturing, processing etc of wooden and other types of furniture and interior designing goodies. Product Design– This field is all about designing useful products or innovating and improving the design of already created products. This 4 year course is all about innovative attitude and making things more useful to mankind by improving its design! I don’t know whether any private Institute in India teaches this course or not, but unfortunately, at CEPT (Center for Environmental Planning and Technology), this course has been temporarily stopped. This has been done with an aim of re-introducing this course with much more quality study material and course material. The course will be re-introduced in 2015! Fees: If you want to pursue this course, you will have to spend around 50-150K INR per year. This is an average figure. Tuition fees may vary from one institute to another. If you don’t want to spend high amount as fees, you may pursue this course from Government colleges. There are many institutes (especially private ones) offering this course. They offer Diploma as well as certificate courses. But try to get admission into premier institutes like CEPT and choose this course. Fees: BID course fees may vary from one college to another. Private colleges charge relatively higher fees. On an average, the tuition fees could be anywhere between 60-200K INR per year. Tuition fees depends upon factors such as – type of college, its rating, scholarship status of the candidate etc. Pharm D stands for Doctor of Pharmacy. It is a Doctoral Degree program. The course duration is 6 years (5 years long academic program and 1 year long internship program). Like B Pharmacy, Pharm D is another professional course, which both Mathematics and Biology group students may pursue. Fees: Pharm D course will cost you more than B.Pharm. course. If you pursue this course from private colleges, it will set you back by 75-200K INR per year. Private institutes charge relatively higher fees. Obtaining free seat or using a scholarship will significantly reduce tuition fees. The most sought after course, in case of Biology group students. The duration of this course is five and a half years. Academic duration is four and a half years. This is followed by an internship that lasts a year. So, combining them together, the duration of MBBS program turns out to be 5.5 years! As we all know, becoming a Doctor is not too easy. First of all, getting an MBBS seat in a private or Government College is a very difficult task. Then, the course is also not too easy! Still, doing MBBS and following it up with PG course will help you build a rewarding career. Healthcare business is booming and the demand for well qualified Doctors is expected to shoot up in the future. One may get job in Government or private sectors. Also, opening one’s own Clinic is also a good option! Fees: Completing medical education from a private institute is a costly affair. Private medical colleges are known to charge as much as – 100-500K INR per year for MBBS course. Government medical colleges, on the other hand, are known to charge relatively lower tuition fees. Some State Government medical colleges charge as low as 5-10K INR per year. This is the main reason why students prefer Govt medical colleges over private institutes. BDS stands for Bachelor of Dental Surgery. The course duration is 5 years. Of those 5 years, classroom studies make up 4 years. 1 year is dedicated towards internship! Getting into MBBS program is too tough. But getting a BDS seat is relatively easy! But at the same time, career prospects are a bit dim, when compared with MBBS. Still, one may complete BDS, follow it up with PG course and build a good career. Fees: BDS course is not as costly as MBBS. Tuition fees may vary from one college to another. It depends upon factors such as – type of college, scholarship status of the candidate, rating of the college etc. Based on the above mentioned factors, private dental colleges may charge anywhere between 100-300K INR per year. Government dental colleges are known to charge relatively lower tuition fees. Pharmacy course is all about the pharmaceutical sector. It deals with topics such as making medicines, chemicals involved in making of medicines, uses of medicines etc. This course is 4 years long. After completing B.Pharm., one may follow it up with the Master’s Degree- M.Pharm.! Talking about job opportunities, Pharmaceutical companies are the prime job providers. One may also get job in hospitals that hire chemists. Government sector jobs are also available for graduates, such as- in Government hospitals, as an Officer in the Drugs department etc. Fees: Private pharmacy colleges are known to charge around 60-80K INR per semester. This is the average tuition fees. It usually varies from one college to another. It also depends upon the scholarship status of the student. Government pharmacy colleges are known to charge very low tuition fees. Apart from tuition fees, other expenses (such as canteen fees, safety deposit, library fees, exam fees etc) may also be applicable. B.A.M.S. stands for Bachelor of Ayurvedic Medicine and Surgery. If you want to become an Ayurveda Doctor, B.A.M.S. course is for you! The course duration is five and a half years. Four and a half years are dedicated towards classroom courses and rest 1 year towards internship. In comparison to M.B.B.S. and BDS programs, getting a seat in BAMS program is easier! And talking about career prospects, the future in this sector is all set to be bright! Take a look at the pace at which Health tourism has been developing in the recent times. Ayurveda resorts and treatment evidently have played an effective role in developing health tourism. More and more people are trying out Ayurvedic treatment, thanks to its rising popularity and lack of side effects! So, it is safe to say that job opportunities will certainly increase with time. One may land job in private as well as Government sector. Fees: Do you know why students prefer Govt Ayurveda colleges? This is due to the fact that Govt institutes charge very low tuition fees. When it comes to Govt institutes, the Government (State or Central) takes care of funding. As a result, these colleges are able to provide subsidized education to its students. Private colleges, on the other hand, are known to charge relatively higher tuition fees. It could be anywhere between 100-150K INR per year. Pharm.D. is a unique course! Its name may sound similar to Pharmacy course. But it has got more to it than just the elements of Pharmacy program! Pharm.D. can be said to be a mixture of B.Pharm., M.Pharm. as well as MBBS! Yes, this course got elements from all the above mentioned courses! This obviously means that the course duration will be pretty long, thanks to the enormous amount of study material that it consists of. The course duration is 6 long years! But job opportunities and career prospects are excellent! One may work abroad after doing this course. Pharm.D. Graduates are valued more in Western Countries than they are valued in India. In Healthcare sector, the demand for well trained and qualified nurses is huge! The demand is increasing with time, but the supply, the number of qualified nurses graduating each year, is not satisfying this demand! In short, qualified nurses are well valued and are rewarded well for their service! B.Sc. Nursing course is 3 years long. It can be followed up with an M.Sc. Degree. There is a notion that this course is meant exclusively for girls. But it is not true at all! Male candidates too may pursue it. Ample amounts of jobs are available in both Private as well as Government sectors. Private as well as Government Hospitals are keen to recruit well qualified nurses! Fees: Each year, hundreds of thousands of students apply for B.Sc. Nursing admission across India. Most of them prefer Govt seats over private seats. This is due to the fact that Government nursing colleges charge very low tuition fees. If you want to pursue this course from a private institute, it will set you back by 60-100K INR per year. Tuition fees may vary from one institute to another. B.H.M.S. stands for Bachelor of Homeopathic Medicine and Surgery. This course deals with Homeopathic medicines and procedures in detail. The course duration is five and a half years. What makes this course valuable is the fact that there are still many people who rely on Homeopathic medication and treatment. So, finding job in Private hospitals won’t be a problem for B.H.M.S. Graduates. Fees: Government homeopathy colleges are known to charge very low tuition fees. Private colleges charge relatively higher tuition fees. If you want to pursue this course without spending a fortune, try to secure admission into a Govt BHMS college. Private college education can set you back by 60-100K INR per year. Physiotherapy professionals are well valued in Healthcare sector. They are required to help patients recover and rehabilitate from muscular injuries and physical injuries through non surgical methods. The course duration is four and a half years. 4 years are dedicated towards classroom studies and practical lessons. 6 months are dedicated towards internship. Talking about career prospects, after graduation, one may take up job of a physiotherapist in private as well as Government hospitals. One may also start one’s own venture. Fees: There exists two main types of physiotherapy colleges in India – Government and private physiotherapy colleges. Govt institutes charge relatively lower tuition fees. On the other hand, private physiotherapy colleges charge relatively higher tuition fees. If you pursue this course from a private college, it will set you back by around 60-150K INR per year. One may also follow up the above mentioned courses with an M.Sc. Degree also. As the name suggests, B.Sc. Biology course deals with Biology subject. The academic program is 3 years long. The course is well known for its detailed approach towards Biology subject. Students who have passed 12th Science stream with PCB subjects are eligible to pursue this course. In order to secure admission into a reputed college, one must crack relevant entrance test (state-wise or institute-wise). B.Sc. Nursing is a very popular choice among Biology group students. The academic program is 3 years long. The academic program consists of a mixture of classroom lectures and practical training! B.Sc. Occupational Therapy course is 3 years long. Occupational therapy is technically related to healthcare sector. Occupational therapists primarily deals with rehabilitation of patients (suffering from physical, social, emotional problems etc). B.Sc. Radiology course is 3 years long. Technically, it is a paramedical course. If you want to become a Medical Imaging professional, this course will be of help to you. B.Sc. Radiology course deals with medical imaging techniques, equipment and practices. Radiology graduates are usually hired by imaging labs, hospitals and clinics. B.Sc. Zoology course is 3 years long. It is a very popular choice among Biology group students. The course primarily deals with animal science. B.Sc. Microbiology is a 3 years long course. Microbiology is a vast field. It primarily deals with the study of microorganisms (fungi, algae, bacteria, virus etc). It has many areas of application such as – pathology, healthcare, nutrition etc. B.Sc. Anthropology is a 3 years long program. This course is popular among Biology group students. Primarily, this course deals with the study of humanities, natural science and social science. Students who have passed 12th Science stream with PCB subjects are eligible to pursue B.Sc. Anthropology course. In order to secure admission into a reputed college, one must crack relevant entrance test (state-wise or institute-wise). B.Sc. Botany is a 3 years long course. It is a very popular choice among Biology group students. In simple terms, Botany means plant science. Students who have passed 12th Science stream with PCB subjects are eligible to pursue B.Sc. Botany course. In order to secure admission into a reputed college, one must crack relevant entrance test (state-wise or institute-wise). B.Sc. Operation Theatre Technology course is also known as OTT program. Technically, it is a paramedical course. If you want to become an Operation Theatre Technician, this course will be of help to you. The academic program is 3 years long. Students who have passed 12th Science stream with PCB subjects are eligible to pursue B.Sc. OTT course. In order to secure admission into a reputed college, one must crack relevant entrance test (state-wise or institute-wise). B.Sc. Medical Laboratory Technology course is also known as MLT course. Technically, it is a paramedical course. If you want to become a Laboratory Technician, this course will be of help to you! The academic program is 3 years long. Students who have passed 12th Science stream with PCB subjects are eligible to pursue B.Sc. MLT course. In order to secure admission into a reputed college, one must crack relevant entrance test (state-wise or institute-wise). B.Sc. Audiology is a 3 years long course. Audiology primarily deals with the study of hearing, balance, disorders related to hearing and hearing equipment. Students who have passed 12th Science stream with PCB subjects are eligible to pursue B.Sc. Audiology course. In order to secure admission into a reputed college, one must crack relevant entrance test (state-wise or institute-wise). That’s it! Those were some good courses for which Biology group students are eligible to apply for. Next, we will see some more Diploma as well as certificate courses, which both Biology and Mathematics group students may pursue. Fees: Many private and Government science colleges are known to offer this course in India. The tuition fees charged for the program varies from one college to another. Government colleges charge very low fees. On an average, many state Govt colleges charge 2-6K INR per year. This figure may vary from one state to another though. When it comes to private colleges, average tuition fees could be anywhere between 60-90K INR per semester/year. Listed below are some job oriented Diploma courses, which Biology Group students may pursue after 12th. Their duration may vary from 6 months to 1 year. Traditional Diploma course may last even longer than the period mentioned above. BUMS stands for Bachelor of Unani Medicine and Surgery. It is a 4½ years long professional course. After completing the course, Graduate must also do an unpaid internship lasting a duration of 1 year. Thus, it takes 5½ years to complete this course! Students who are unable to get admission in courses like MBBS, BDS and BAMS may take up this course. On completing it, they will get the tag of Doctor! Fees: Govt Unani colleges will charge you anywhere between 5-15K INR per year. While at college, students will also have to face other expenses such as – lodging fees, canteen fees, security deposit, exam fees, library fees etc. BASLP stands for Bachelor of Audiology Speech Language Pathology. It is a course that focuses on Audiology, hearing disorders, auditory systems, speech language therapy, hearing implants etc. It is a 4 years long course. After completing the course, Graduates will have to do a 1 year long Internship program. Thus, in total, it takes 5 years to complete this course. After completing the course, Graduates will be able to find a job in the following sectors- marketing of hearing implants, rehabilitation clinics (for people suffering from hearing disorders), Clinics and Hospitals, Special Schools and Educational Institutes (for children suffering from hearing disorders) and Hearing aid manufacturing industries. Fees: If you pursue this course from a Government college, you will be charged a relatively smaller amount. But if you choose to pursue this course from a private college, it will cost you anywhere between 50-100K INR per year. While at college, students will also have to take care of other forms of expenses (lodging, canteen, exam fees, library fees etc). To become an Air Hostess, one has to undergo training. There are many private institutes providing Diploma, Degree as well as Certificate Air Hostess training courses. Duration may vary depending upon the program. Generally, it lasts between 1-2 years. If it is a well paying job that you want, Aviation courses like these will be of help. Event Management course is very job oriented. Certificate, Diploma as well as Degree courses are available, when it comes to Event Management. Course duration varies between 1-3 years, depending upon the program. Hospitality sector is booming. And with it, the job opportunities associated with this field are also increasing! Degree, Diploma as well a Certificate programs related to Hospitality Management are available as of now. A 4 years long B.H.M. (Bachelor of Hotel Management) course would be the best one among all of those Hospitality courses. 12th Science students are also eligible to study law from Law schools! One has to choose to pursue it as an integrated Law course lasting five years though! For example- B Sc+LLB, BBA+LLB etc. This is how integrated courses works! Talking about job opportunities, one may start working for Law firms. After gaining experience, one may start private practice too! If you have the right set of skills, the field of Animation and multimedia will help you build a successful career. This is a field that requires creativity, if you want to thrive! Diploma courses lasting 1-2 years are offered by many institutes throughout India. B.Sc. courses related to Animation and Multimedia, lasting 3 years, are also offered by many Institutes across India. 12th passed science stream students may also go for B.A. Animation and Multimedia course! Even though this course is from another stream, science students are eligible to study it! Institute like NIFT (National Institute of Fashion Technology) is offering 4 year Degree course in Fashion Technology. Also, there are number of private institutes offering Diploma as well as certificate courses too. In those cases, the typical course duration is between 1-2 years. Design related courses too could be pursued by students hailing from both groups- Mathematics and Biology. Trains one to become a part of the media sector. Typical course offers programs related to news reporting, journalism, photography and video shooting, anchoring, news presenting etc. Diploma as well as Degree courses are offered by many private Mass Communication institutes. Course duration varies between 1-3 years. Major media houses- print and Digital- offers ample job opportunities. B.A. in Journalism and Mass Communication is another Degree course being offered by many colleges in India. Even though it is an Arts stream subject, science students may pursue it after 12th! There are Diploma as well as certificate courses offered by private institutes. Course duration varies, depending upon the program. Usually, they last between 6 months- 2 years. Web development sector is booming. MNCs and small businesses offer good number of job opportunities. One may also start freelancing/start one’s own web designing firm. Apart from traditional Science stream courses (Mathematics and Biology Groups) and other job oriented Diploma, Certificate and Computer courses, Science stream passed students are also eligible to apply for and pursue Commerce as well as Arts stream courses! Yes, many students and parents are unaware of this fact! A Science stream student can pursue Commerce stream courses like B.Com., CA (Chartered Accountancy), Company Secretaryship course etc. Similarly, he/ she may also pursue Arts stream courses like B.A., Bachelor of Performing Arts etc. If you want to switch your stream and pursue courses from other streams, you are very much eligible to do so. But note that the syllabus and study material will be totally new to you in College, if you make a switch of stream. As mentioned above, there are large number of courses available. A student has to choose one course from the pile. This can prove to be a difficult task. Difficult it is, and it is also an important step! Why is selecting the right professional course so important? It is because the entire professional life and career prospects depends on the value that a course holds! Also, the course should ‘suit’ the student’s aptitude! Let me describe it to you in detail. Different types of courses hold different value. Some courses helps one get a job really quickly. While some other courses are commonly pursued by people around the globe and hence the job market is too saturated. Some courses used to hold much value in the past. But in present time, they barely have any value! So, looking at these factors, it is important to do a bit research about a course, before you start pursuing it! One must look at things such as career prospects, value of the course etc. Another thing to look for is whether the course suits the student’s aptitude or not! You see, different courses have different levels of difficulties associated with them. Some courses are too tough for average students to pursue whereas some other courses are easy to go through! The point is- before you select course, check whether you have the aptitude to clear the exams associated with that course! There are many aptitude and eligibility tests available. Using such tests, one may check whether the course suits them or not! Online aptitude tests are awesome! You may rely on these tests and get yourself evaluated while sitting at home! You may take such tests on your smartphones, laptops or desktops. Both free and paid aptitude tests are available on the internet. If you want a traditional experience, you may rely on career counselors. A skilled and experienced career counselor can gauge your academic aptitude and help you out accordingly. In short, choosing the right course is very important. Choosing a course that you are not capable of pursuing will have negative impact on your academic life. It will result in lots of wasted time if you select a course that you are not capable to pursue. You will fail in the exams and won’t be able to graduate on time! You’ll even think about dropping out too, if things go terribly wrong! In any case, it is always good to check things first, stay safe and be prepared! In this case, it can be done by just checking whether you have the aptitude to go ahead with the said course! If you have any doubt or query regarding a professional course, career or training program, feel free to ask it in the comment section. The question will be answered by me or my team of experts. As you can see, I’ve already answered thousands of questions. If you have any doubt, drop it in the comment section. That’s it. I think I’ve managed to list almost all the good professional courses that one could pursue after 12th Science. Remember, do not rush with the selection process. Think calmly, do a bit of research and decide which course will suit you the best. The choice you make will define your career and rest of your life to an extent! Wish you all the best! Sir i have just passed 12th Science with 54% can I still get admission for BCA?? What is job scope ? You may become a Pharmacist and work at medical stores. You may even start your own medical shop. It is also possible to work as an MR. I completed my puc in pcmb science stream.But I got less percentage .is it ok for me to go with BHM as professional course. Please suggest me which would be better for my career purpose. If you want to build career in hotel management sector, you may pursue BHM course. Hey there, i am a PCB student. I am not sure if i can hold through science courses (BDS or BPT were the courses i am thinking of) and be able to excel there, do you think any course in arts that has good job opportunities and provides good salary, should i switch? Sir i am passed 12 standerd hsc with PCMB and I have interested in bsc computer science but sir my marks and % not good so sirr you tell me eligibility to go bsc CS or which course is best for me?? You may try for admission though. You may also try BCA course. Sir which college is best for BBA aviation in chennai?? I’ve already compiled a detailed guide about CA course. You are eligible to become a CA. You may check that guide to get more details. You may take an online aptitude test or seek the help of a career counselor. I think it will help you in convincing your parents to let you pursue the course you really like! Sir i just completed 12 with pcb but i don’t want to do mbbs or other medical course what can I do? You may try B.Sc. courses related to areas such as – Biotechnology, allied healthcare sector, general sciences etc. Sir if I take pharm d what all job opportunities will I get in India? ?and also its scope in India?? You’ll have access to jobs in R&D sector, Clinical Pharmacy jobs, Pharmaceutical manufacturing firms etc. Sir, I cleared my class 12th board with 60%. in subjects PCMB. I am not very much inteterested in any subjects. though I have a little liking for maths. Can You suggest me any course/courses with less pressure.? Is management the right choice??? Sir.. My +2 class will starts next week(bio stream) .. My parents are forcing me to go for a coaching for engg.. Tell me an opinion.. Is it good or not to go for it simultaneously..
What should I do to get a bpharm course on the period of time of plus 2.. It is good to go for engineering entrance coaching. In order to secure B.Pharm. admission, you must score well in relevant state level entrance exam and apply for admission. Tell me more about your academic interests and strong subjects. what is difference between passing 12th from regular admission and private admission…?? passing 12th from via private form may affect college admission or job opportunities..?? B.pharm, pharm D, Bvsc and BPT which has the job placement best in gujarat…. I’d say B.V.Sc. and BPT courses. I suggest you to take an aptitude test. It will help identify your strong and weak points. Based on this input, you will be able to choose a relevant stream and course. Sir i am a student of pcb and now i am in class 12th.Can u suggest me which course is best with good placement.. Please check courses listed under – courses for biology group students title. You will find many relevant courses. You may apply for Indian Army. If you have flair for Public Administration, you may pursue a relevant course. All the best! I’ve compiled an entire article that is dedicated to paramedical courses. 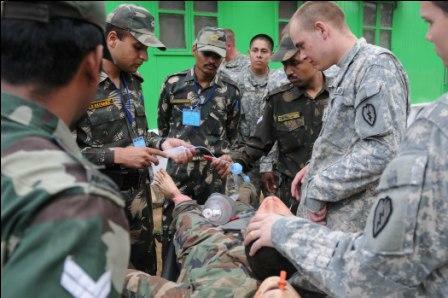 You may refer it to get an idea about different types of paramedical courses available in India. All of the courses you mentioned have decent scope in India. Remember to pursue the course from a good college. Pursue relevant B.Sc. program and follow it up with relevant M.Sc. program. Previous year i complete 12th.. now i am think about to do hotel management course .. sir its a better course or not plzz suggest me…. thanks.. Yes, you may pursue BHM course. Your academic interests, favorite subjects and areas of interest? Many good courses for PCM students have been mentioned in the article. You may choose a course that suits your needs. I’m ShaikAbdulKader. I complete class 12th this year. I’m totally confused to choose Which course is more suitable for me. Please suggest some courses. I studied Physics,Chemistry&maths With Computer but i won’t like to study engineering. My thought is B.sc. Biotechnology. Is that given course has a good scope or not? and then what’s the syllabus i cover for this course? Yes, you may pursue the said course. For details and syllabus, check out the article that I compiled about B.Sc. Biotechnology. Sir .. i have just appeared for 12th exam(pcm). I like maths very much! But i cannot handle the pressure it has. Can u please suggest me some career options related to maths but has less pressure. I m confused what to study! You may try B.Des. courses, management courses, law courses etc. After 12th, pursue MBBS. After completing MBBS, go for relevant MS/MD program and specialize in the field of Dermatology. Sir, my name is Chandrashekhar. I have passed 12th (PCM) with 86%. I want to do B.A.L.L.B so please tell me that how many opportunities are in foreign countries for me after completing B.A.L.L.B. Not knowledgeable about other countries. If you have the right set of skills and aptitude, you may make it big in India. Sir i’m interested in B.V.Sc&Ah… But i did not write AIPVT… Can i still apply for vetenary sc?? Cracking relevant exam is necessary to secure admission to good colleges. You may still enquire at individual institutes level to know more about the selection policy. You may try Diploma courses related to disciplines such as – paramedical science, management, soft skills etc. You may pursue BPT, Paramedical courses, management courses, law courses etc. Pursue any course from a Government College. They charge less tuition fees. Sir. .I Am bio student. Can I get into B. Com…is there future scope for it and after B. Com what are master courses available sir… Can u please help me out sir!!!!!! Yes, you may pursue B.Com. course. Yes, it has decent scope. But you must be willing to work hard. Pursuing good PG courses like MBA will help you build a good career. You may try allied healthcare courses, management courses, arts courses, event management courses etc. Many such alternatives have been listed in the article. You may take Science stream after 10th. Take PCB (Biology) group in 11th and 12th Science. After 12th, go for MBBS. After completing MBBS, go for relevant MD/MS/PG Diploma program and specialize in Cardiology. Yes, you may pursue Forensic Science courses. If you want to get into R&D sector, you may go for a relevant B.Sc. program. Follow it up with relevant M.Sc. and PhD programs. Pursuing BBA is good decision. But here are two important things – pursue the course from a reputed institute & after completing BBA, follow it up with an MBA Degree from a reputed institute. You may try management courses like BBA and BMS. Apart from that, you may try other courses like B.Sc. Animation, B.Sc. Supply Chain, B.Sc. Aviation etc. There are loads of courses to choose from. You may try relevant Hardware and Networking programs. You may pursue courses such as – B.Sc. Zoology and B.V.Sc. & AH. Its difficult to pursue bachelors, any other good alternative ? Each type of course has its own level of difficulty. I suggest you to go for good Bachelor’s programs. Alternatives do exist in the form of Diploma courses. But Bachelor’s programs are better. You may use education loans if you are facing financial constraints. Invest on a Bachelor’s Degree program. It provides better career prospects. You may pursue B.Des. courses, BCA and some good B.Sc. courses (Animation, Graphic Design etc). Sir I have completed my 12th with pcb. I am so confused to choose right course. If I choose any course, I want good job and salary after my completion of that course. But I am not interested in any thing. But I want good job after the studies. Plzzzzz help me sir. U are my last hope. Which are your strong areas (academically)? Hello sir. I have completed my 12th science (pcb) this year . I’m interested in computers. Is it possible for me to do any course in computer science? If so can u please suggest me a best course which will help me to get a good job ? i’ve passed out in 2017 with 90%…..tottaly confused abt what to choose, already I’ve wasted my time this yr without joining any course. i thought of bsc. agri but everyone one rushong towards it..nd i decided to choose another among bsc. biotech and bsc. foodtech..fact is biotech doesn’t have munch value in india but…payscale for food tech and biotech is low…what should i choose??? You may pursue relevant B.Sc. courses after 12th. Looking at your interest, B.Sc. in Electronics, B.Sc. in EC etc are good courses. I’m not knowledgeable about Govt colleges. Sir , I’m completing 12 th PCM and I’m average in mathematics I like to prefer marine engineering or nautical science but all these need better knowledge in mathematics so what can I do ?? You may work extra hard on mathematics and pursue any one of these courses. BPT is a good course. Allied Healthcare courses are also good ones. Both are good courses. My personal choice is – B.Sc. Cardiac Care Technology. Consider following them up with relevant M.Sc. programs. B.Sc. Respiratory Care Technology, B.Sc. Medical Imaging Technology, B.Sc. Radiotherapy, B.Sc. Dialysis Technology, B.Sc. Anesthesia Technology, B.Sc. Operation Theatre Technology – these are some ideal courses for you. Mathematics subject is required for it. Hi sir. I am going to pass 12th science and i haven’t yet decided in which career to go as i am confused for what to choose. I just know that i m interested in drawing/designing. So I am generally advised to pursue architecture or fashion designing. According to you which one is better to have a good promising career for me as i have to choose one. I’ll be grateful if you help me out please. My personal choice is B.Arch. You may also check out B.Des. programs (Interior Design, Fashion Design, Product Design etc). I need your help.I’ll be passing 12 sci PCM and I m interested in designing clothes so which particular field related to designing should I pursue with good job availabilities ahead.Also which all exams I need to attempt for admission in good colleges. You may try B.Tech. in Fashion Technology or B.Des. Fashion Design course. There are relevant entrance exams like NIFT, NID etc. Hey.Thankyou so much. This was indeed very very helpful to me.Keep it up.I would like to see more upcoming updates of yours.Once again Thanks a lot .It was satisfying. New articles are updated frequently. You may subscribe to get notifications! I did not qulaify jee..bt I love mathematics too.what should I do for better career? You may pursue relevant B.Sc. programs. 1)Which stream should I take if I choose physics chemistry maths without computer… 2) is it good for an 70% student to take engineering . You may pursue B.Sc., B.Tech. BBA and other such courses. If pursued from a good college, MBBS course is the best. I am too much confused sir….I have just passed my 12th board exam with PCB….I am not at all interested in medical science and want to go for BSc….can u please suggest only one such course that would help me come out of this confusion…. Also please do suggest such a course that would have maximum demand after 5 years with good salary, so that as a girl I can earn good on my own…And I assure u that whatever course u would suggest I would work very hard for that…. at present I really need ur help sir….. please help me…. B.Sc. Nursing is a traditional course. Still, if you pursue it from a good college, you will get decent job opportunities. Complete MBBS first. After that, pursue PG courses like MS or MD, related to gynaecology. Sir, I had given my Gujarat board exam and not yet get result what is the best course for me which can earn me more salary and job oppourtunities in future..My preparation for NEET is not good so its hard for me to go for MBBS and BDS..so kindly suggest me best course which will be in demand in future. Some good B.Sc. and paramedical courses have been mentioned in the post. Also check out the list of management programs. These courses will be of help to you. Some of the good management courses are – BBA, Diploma in Management, BMS and Integrated BBA program. Sir BMLT course can be done by non medical. Most institutes accept medical stream students. In bsc botany and zoology what are the opportunity? They have diverse job opportunities – research, teaching, MNCs, Government jobs etc. Which are good management courses for science candidates? Some good courses are – BBA, BMS, Integrated BBA + MBA course etc. Please provide names of some air hostess courses after 12th science. Diploma in Air Hostess Training, Diploma in Ground Staff & Air Hostess Training. Yes, as long as you’re studying it in a good college. The field has decent score. In the long run, your interest, aptitude and work ethics will matter the most! Any good forensic science course after 12th? I prefer Bachelor’s Degree course. B.Sc. in Forensic Science is a good course. Can I pursue B.Sc. IT after 12th Science? What is its scope? Will it fetch me jobs? Yes, you may. It has got decent scope in India. Job prospects depends upon your skills and the reputation of the college (where you choose to study the course). B.E. Computer Science will be better. You must also ensure that you pursue this course from a good college. I am Medical student & I want to join merchant navy..
CAn you tell me how can I join merchant with medical stream.. Merchant Navy programs, the good ones, are for mathematics group students. Check out medical, paramedical, law and myriads of other courses after 12th science. Choose an ideal course from them. Can I do Company Secretary course right after 12th Science? Or does it require any Degree? Please clear my doubts sir..
You can pursue it right after 12th Science. Go ahead! Hi sir…. In future automation will be adopted… So 80% of employees will lose their job….. So it is good to choose engineering sector…. Will I get job opportunity if I choose engineering…… Plzz suggest something….. It will have decent job opportunities in the future. Hello sir! I’m currently in 11th science and I’ve taken pcm. I’m not really interested in engineering courses. I have a lot of interest in climate and would like to research on them. Can you tell me which entrance should I give and what should I basically do after 12th? B.Sc. Meteorology course will be ideal for you. Please check it out! I want to enter business area. Which course is best for me. Arun sir please suggest.. Try courses such as Diploma in management, BBA, BMS etc. Can I study History after Science stream? Or arts compulsory for it? Please answer my question. Yes, you are eligible to pursue it. It will be merit based admission process. But some institutes also conduct direct and donation based admission process. Can I pursue MLT course with PCM subjects in 12th Science? Yes, some colleges accept PCM group students too. But you’ll have to check the eligibility criteria first. You may pursue B.Tech. in IT, B.Sc. IT or BCA. I am a PCMB student passing out in 2018. I would like to know which Bsc courses have a high demand and good pay-scale as of now. Computer Science, IT, Nursing, Animation etc have good demand. Apart from that, the quality of the college from which you pursue these courses also plays a huge role in determining the trajectory of your career. Which are the medical courses which will guarantee me a Government job? My dream is to become a Government employee. Look, to bag a Government job, you must crack relevant entrance test. The course won’t guarantee you a Government job! I am from Bangalore. I will complete my 2nd puc in PCMB branch this year. I want to do FD., but my teachers also suggest me to become air hostess or model. Can u pls suggest me the best career option. I can score about 95%in this exam. Pls say me the correct option with all the details regarding the same. I am good at Mathematics, computers and I am also creative. I am still in 12th . Which courses would be suitable for me? You may go for courses like B.Sc. CS, B.Tech. CS and BCA. I’m suggesting it since you mentioned computer science. Is future of fire and safety courses good? My brother passed 12th and is interested in fire safety related courses. Plz suggest sir. Yes, this course has got decent scope in India and abroad. Can I study LLB after completing 12th Science? Is there any entrance test for it? You may pursue Integrated Law course after 12th. Yes, there’s entrance for securing admission. Arun sir please give some air hostess courses after 12th. I want to become an air hostess. You may try courses like Diploma in Air Hostess Training, Diploma in Airline and Airport Management etc. is there any entrance exam for merchant navy after 12th? Hi Sir, I’ll pass 12th Science with PCM subjects in July 2018. Can you please tell me about good Engineering colleges in Ernakulam, Kerala? I want to become a Physio in Indian Cricket Team. Any special course for that after 12th? BPT (Bachelor of Physiotherapy) course will be enough. Selection to the specified job depends upon your skills, aptitude and performance in the selection process. Im studying 12th standard with the subjects of physics chemistry biology computer science.. What can i do after 12th???….. Didi i eligible to study bio tech? Yes, you may pursue Biotechnology courses. please suggest colleges offering bca course in Gujarat. Can I do B Com after 12th Science? Or is it only for commerce students? Science stream students can pursue B.Com. after 12th. There’s no restriction! The post is going to help so many students who are thing to go for course after 12 standard from science stream. You have described all very nicely. Which course is more suitable for me? You may go for courses like B.Sc. CS, B.Tech. CS, BCA etc. Hello sir I’m currently in 11th science and I’ve taken pcm. I’m really not interested in engineering but I have a lot of interest in climate and I would like to research on them. Can you suggest me what to do after 12th for this ? sir i complete 12th pcm in math i m so confused which course is best for me..
B.sc. or B.c.A. or Engineering..
You’ll have to appear for SSB Interview. Difficult to tell, because each course has a certain level of difficulty associated with them. D Pharm will be relatively easier. Okay. So you want to join as a soldier or an Officer? Then you may start applying for Open Rally after 12th. Sir, I am a PCMB student and I secured 69% in 12th. I am not interested in medical and engineering line and I think that BSc line takes more time. So what will be right choice sir.I am very confused. Plz tell…. Do you want to become an Officer, JCO or Soldier. B.tech IT or B.tech C.S is more easier? Both are difficult in their own terms. IT would be relatively easier. Hi, many science stream and other stream courses have been mentioned in the article! Hello sir I have passed my +2 from PCM stream ,currently I am in a school of engineering and doing Btech(fse) . Somehow I realised that Btech courses are not good for me, also I am not interested in Btech programs. Now I am thinking for BBA . Looking for an earlier response! How long have you been into engineering program? Certain limits are allowed, when it comes to eyesight. Please refer the eyesight requirements of each wing of Armed Forces to get further details. Hi im anu and i like to take bhms aftr 12 so is it possible to jpin for this coarse without appearing for any competetive exams ..? Getting into reputed institutes without appearing for entrance will be difficult. Hello sir….i am currently studying in 11th science (PCMB)…i am interested in arts,design and technology …should i pursue graphic design or animation or any other course…should i drop biology or i should continue and pursue biotechnology further? i want to go abroad. what is the procedure i have to follow ? Engineering field has got decent scope. DO what you love. Follow your passion/dream. It is a good course. ‘Work abroad’ scope associated with it is good. Hiii sir I have completed 12th with physics,chemistry, maths,cmputr. Sci. I am interested in comp.sci what cn i do??? You may go for CS Engineering, BCA or B.Sc. in Computer Science course. is bsc nursing is good course or bsc agriculture.. Nursing is the better course. sir i have chosen defence. which group you think is better either navy. air force? Sir I have passed 12th class by getting 65% and I’m interested in cooking and what should I do for getting best job? You may select culinary arts courses after 12th. respected sir i got 52% in 12th Science and i’m interested in forensic science degree is it there is any career in this field. Yes, this field has decent scope. You may pursue B.Sc. course related to Forensic Science after 12th Science stream. Government agencies are well known to recruit Forensic Science graduates. One can’t say that this field has no value. There are many animators, working for top animation and advertising companies and earning good salary in that process. The key is to possess qualities like- creativity, drawing and sketching skills and will to work hard. Also, you must pursue the course from a good institute. I passed 12th with 81%. i want to choose a career in designing sector excluding fashion or textile. Check out Bachelor of Design courses such as B.Des. Interior Design, B.Des. Product Design, B.Des. Architecture and Interior Design and B.Des. Animation. Sir I passed +2 PCB with 90%…….I want to know about the scope of BBA in airport and airline management……Is it a good course?? Yes, it is a good course, which can be pursued after completing 12th Science stream schooling. what is the salary of a fresher after completing BBA ? Depends on specialization, profile of employer and job location. Could be anywhere between 10-25k Rupees. what is different about these two fields???? IT Engineering is all about IT systems, Information management, Information security and retrieval. BCA consists of elements of software, programming, computer hardware and system. I have completed 11th and I am interested to go with either fashion designing or mass communication. Which has the high scope for job opportunities? And having good skills in drawing, what can I go for? If you are creative person, then go for Fashion Designing course. Otherwise go for Mass Communication. Both are good courses. Drawing skills will come handy in Fashion Designing course. Sir, I finished 12th science exam in this year with good percentage. My interest in mathematics subject. Please, can you tell me that which engineering branch is good for me ? In case of most engineering branches, mathematics will be involved in the first 3 or 4 semesters. Still, branches like Mechanical Engineering & Civil Engineering will suit you. what can i do after puc science? Your interests? Finding a suitable course will be much easier after answering that question. Sir.i finished 12th exam in this year & also finished MH CET with PCMB Group, waiting for result. I am interested in Biology & wish to become a doctor. But I fill that I am not qualify in MBBS ranking. So I will decided that repeat the MH-CET exam in 2016-17. Please do suggest sir this decision is ok/not. Sir my interest is in b.sc aviation courses and b.sc airlines tourism hospitality management which is the best course..????????? B.Sc. Aviation will be better. It will give access to diverse job opportunities. Sir.i finished 12 th exam in this year and i chose computer science group and finally i got 170.5 cut off mark in this exam .which engineering course is best and job vacancy. Core Engineering branches are good. Job vacancy and prospects changes with time. It is difficult to predict what things will be like in the future. Still, core branches are considered evergreen. Courses related to them will be good for you. Sir I have just passed +2 PCB. I am thinking about taking B.sc. Chemistry. Is it a good course? It is a decent choice. Make sure that you follow up the undergraduate course with PG courses too. It will further boost your career prospects. I am confused between architecture and engineering (IT) as my career .can you tell me which field is better to chose ? I completed my 12th std. I want to do any biology related courses. What are the best courses? Can you please suggest me. My marks not enough to join MBBS. So can you please tell any courses? Nursing, Physiotherapy, Speech Therapy, Occupational Therapy, Operation Theatre Technology, Medical Lab Technology, Ophthalmology courses etc are good ones. They are related to the field of Biology. If you are willing to pursue undergraduate and postgraduate psychology courses, it will help you build good career. Sir if I am not eligible for BHMS than please suggest me a good course which I can complete in short span of time and earn. I belong to a middle class family and wanna help my dad. Try Diploma courses related to Anaesthesia Technology, Operation Theatre Technology and Medical Lab Assistant. Both are more or less equal, when it comes to career prospects and scope. You may choose a course based on the quality of the institute in which you may secure admission. Sir, I am from 12th pcm. I’m interested in creative field nd I want become my career in Business field…. it’s my dream to becomes successful business women…But i’m totally confused what i’be to do??? Pllzzzz suggest me what to do…. You may try management courses like BMS or BBA. Otherwise you may go for MBA after completing any undergraduate course. Hi I am a 12th student. I want to become a anchoring or news reader. I have talent in this path . but my family feels this is not safety so they advised to take any b.sc nursing or degree courses. This take 5 or 3years. So I think first I take this type of courses then I will take BA journalism and mass communication. This decision is correct or not. And also help me ,what type of courses I take? Plz help me. If you are really passionate about Journalism and Mass Communication, you may choose that path. Regarding undergraduate course, Nursing, like you mentioned, is a good course. You had PCB subjects in 12th? I m a student of std 12th. my entrance classes has started.i m little confused whether to go for medical or engineering. well, I m interested in both the fields. but the issue is tat ter r many engineers so many remain jobless. the issues regarding medical felid is tat I love biology bt find little difficult to recollect n remember big words. so m actually confused on wt to pursue….! above all declaration of neet n jee xams has brought me in tension cuz it include 11th stds portion too…!! plzzz can u suggest or advice me ??? Divya, from reading your question, I suggest medicine. You said that you are not too strong at remembering stuff. But then, if you put in effort, anything is possible. If you are able to pursue Medicine from good college, it will be a good option. I passed 12th science from B biology group …can I valid for bsc computer science ,bsc IT …or other option in aviation …I’m soo confused …give me the best line what to do?? Pavan, most institutes require mathematics as compulsory subject. And you don’t have that subject under your belt! Gufran, my suggestion would be to go for UG courses like Civil or Environmental Engineering and later specialize in the subject of waste water management and recycling. Other than that, I found certificate and Diploma courses related to water management and engineering. But not sure about the quality of such courses. Jenifer, if you are creative and good at drawing, Animation and Multimedia courses will be good for you. But to get success in this field, you must be willing to work hard, innovate and develop skills. sir, is pharm d is a better course. i guess, most people are unaware of this course (even me). my parents asked me to join pharm d. can u pls help me by giving the necessary info. Sandra, Pharm D is a good course. But it is an integrated course that also covers healthcare topics. It is long, when it comes to duration. Overall it is a good course. In developed countries, Pharm D is the minimum qualification required to become a pharmacist. Work abroad scope associated with this course is decent. Hallo, Sir…… After my graduation I want to go abroad so plz tell me which course give me best job in abroad????? Chhaya, Engineering, Nursing, MBBS, Science courses- they offer decent work scope abroad. sir I have interest towards medicine..but i am sure i wont get good ranking in cet… except MBBS and BDS what are the best courses i can do in medicine..
Chaithra, you may go for courses like Occupational therapy, Physiotherapy, Nursing, BASLP, BHMS, BAMS, B Pharmacy and Pharm D.
Sir, I have completed my +2 with pcb though biology interests me I have an inclination towards travel and tourism and journalism. Please be kind enough to elaborate on their scope and courses especially aviation and journalism. Looking forward to your gracious help. sir, i confused to chose radiogy or lab tech. plz tell me best colleges for both in chennai. but low fees even i scored low marks. Sudha, both have more or less the same scope. Not knowledgeable about institutes though. Mohammed, Mechanical Engineering would be better. hello sir i completed pcb in 12th std and which group best in arts and science and college in tamilnadu i am really confused please reply sir…. i am a science student(pcm) can go for bbm?? Hi sir.,.I m NIMMY from chennai..i took PCMB in 12..I have a small doubt…is it good to study MBBS in India or abroad? ?pls help me in sujjesting a right way sir…. Nimmy, studying in India would be better. Studying in countries like USA, UK will be good too. Sir I had completed plus two science . Now I am interested to go for B pharm . But my friends says that B pharm is the most difficult subject . Am totally confused. Fazil, each professional course has its own level of difficulty. If you are willing to work hard and be consistent with your efforts, I don’t see much problem here. By pilot studies, do you mean CPL training? Yash, you may take up Government jobs that require graduation, you may take up translator job, teaching job. After pursuing PG courses like MBA, you may take up management related jobs. Ayush, first step would be to approach a flying school and enquire about their admission process. Then, based on their input, you may start preparing for entrance exam and interview. I like your article about CPL and now i am interested in it. please tell me about its expenditure and difficultly level. what are the chances to get a CPL? Ayush, cost will be around 25-35 Lakh Rupees. You’ll have to clear the CPL training program to get the license. I m not able to clear jee-mains cut off and now stuck in various options. please help me to choose right option. i read your article and impressed by training so can i plan for that? Moreover what is the competition [level of difficulty] in CPL Training? how can i opt bba after completing my 12th by pcm??? Yes Mayank, you may pursue that course. Sir i have passed 12th with 75% Now i m confused that which field should i choose as a career option?? I completed my 12th from non med. stream. Actually i have interest in police stream so sir plzz suggest me which is best course for that. Adi, to become a Police officer, you will have to complete any UG Degree course and then crack the relevant State PSC or Civil Service examination. Petrochemical engineering course is good and more demanded for good return (salary). Yes, Dhrumil. It pays well. Which course more beneficiary in USA I interested in petrochemical engineering is it good? It is a decent branch, Dhrumil. It has got more scope in Gulf region. Indumathi, I’m not knowledgeable about colleges (state wise). That’s why I don’t recommend it here. I have just appeared for 12th, result awaited.Now i m confused that which field should i choose as a career option?? I completed my 12th from bio stream. Suyog, medical line courses have been mentioned in the second section of the article. Please go through all the courses, find out which one suits your passion and strengths and pursue that course! I have finished biology group. Can i select BBA? Harish, you may pursue BBA. Jay, you may go for Aerospace Engineering or B.Sc. For that, after 10th, go for Science stream (Mathematics group). Vijay, minimum marks requirement varies from one institute to another. After completing the course, one may practice as a pharmacist or directly get involved in the healthcare sector. Rishu, core branches, Computer Science Engineering and IT Engineering are in good demand there. Ankita, you may try management courses, law education, B.Com. (relevant fields), BA (relevant fields) etc. Have you considered these courses? Sir l want to establish my future in automobile engineering. But I only appear jee main .where can I get admission on this stream with low fee. Debashish, have you appeared for state level entrance test? Based on that, you may secure admission in private or government engineering colleges on your state. Sir iam passed my +2 course now iam confused that what will be the next? hi sir .i have completed my 12th std . Actually i have interest in many courses ,like psychology, b.sc food technology, pharm.d , b.sc nursing, etc .. kindly help me choose the best course ..giv me some suggestions about the these course . and is archaeology good for girls ??? ?, does it have scope ? ?give me some details about earnings in archeology… please suggest me the best course . Shobhana, among the courses you mentioned, best ones are- Nursing and Pharm D. Archaeology involves lots of field work. You may go for it, if you are interested in that field. Not sure about the salary specifics though. Madhu, in case of most institutes, mathematics is necessary. Vishnu, Petroleum Engineering is a very good field. After course completion, you may land well paying refinery jobs in India or abroad. Madhu, ask your question here. I completed my 10th and i am confused which path to go but i dont want to leave social and maths could u suggest me any wayy for this!!!!!!! Sravani, arts stream has the above mentioned subjects present in it. Madhu, you may go for IT Engineering, Computer Science Engineering or BCA course. I, Bhavin will get almost 94% score of 12th science (math). So can you please suggest me which field is suitable for me for my Carrier. I am Scholar student and i got average 96% in all three semester so please advice which is best field for me. Bhavin, looking at your marks, I think you will be able to get admission in a good Engineering College. Is bsc forensic science or b pharm more scopeful course? .please reply. Akhil, if pursued from a good institute, yes. hi Sir if I get less then 50% marks in pcm in 12th clas .. can I give competitive exam??? or n suggests me the courses …. wht shud I do ?????????? I want to do a diploma course in fire safety & technology after 12th. which stream is best to get the wealthy job. can u suggest me any top placement college in India? Yogesh, safety technology course is good one. You will be able to find in Gulf countries too. But I don’t suggest institutes though.